All food and beverages (VAT included) are included in the price of our tours. The bilingual guide also. Only extras are your responsibility. For more details on the services, please visit our Tours page. Yes, all guides speak fluent English with years of experience living in English-speaking countries. Some guides are of foreign mother tongue and all have very high levels of proficiency, speaking many languages. When do the tours start? Do I need to arrive early? All start time information is displayed on each descriptive page of the different tours. We strongly recommend that you arrive on the spot between 5 and 10 minutes before the start of the tour. How many people per group? Do you have special rates? We like to keep our small groups. Generally, groups include a maximum of 8-12 people, but you can check the details in the description of each tour. Please contact us for group rates of more than 12 people. We are specialized in large groups and corporate groups. I am allergic to certain foods / I am vegetarian: is this a problem? No problem. We will make sure that everything is tailor-made during your experience, you will have the best alternatives. However, be sure to let us know at the time of booking so we can arrange this for you. 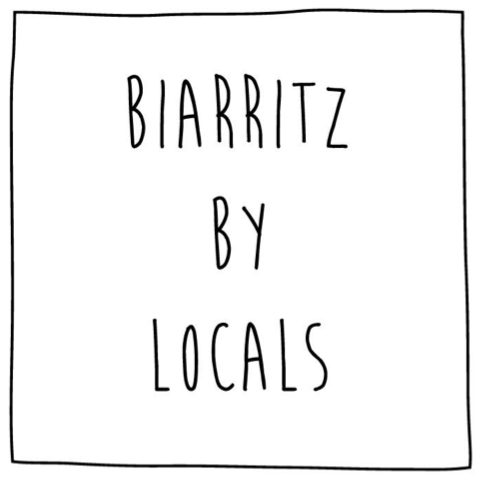 You can book a tour here on our website: www.biarritzbylocals.com. Once booked, you will receive a confirmation email. I made a reservation but did not receive confirmation. Check your spam or trash, otherwise send us an email to contact@biarritzbylocals.com and we will confirm your booking .. Yes. However, we will require a deposit by credit card on our website to guarantee the reservation. Call us or send us an email for more information. Minimum number of people required for one tour? Yes, we need a minimum of 2, 4 or 6 people depending on the tour. What happens if the tour I have booked does not reach the minimum person required? We will contact you 72 hours before the tour date to inform you that it is likely to be canceled. We will contact you again 48 hours before to confirm if we can offer the experience. If not, we will provide alternatives or a full refund of the amount paid. In the Basque Country children are an integral part of social life and are therefore welcome. However, for safety reasons on cooking classes, we offer a minimum age of 8 years. Yes, we accept cancellations with full refund up to one month before the booking start date. Refunds will be honored with a 10% tax on all cancellations made within the month of the event date. Cancellations made between 24 and 72 hours before the event will receive a 50% refund, but cancellations made within 24 hours before an event will not be refunded. If a cancellation is required, we will be more than happy to postpone or book an event for you in the future. We made a reservation but we want to change dates. Changes are possible but subject to availability. We will do our best to reprogram your experience. I plan a special event. Do you offer tailor-made services? Yes, we are experts in organizing private events for small or large groups. Do you do tours for business? Please contact us by phone or email and we will know how to plan any event for a company or a trip. Do you offer transfers from the airport or train station? Yes, of course. Please send us your requests. Holiday rentals: we also manage a selection of the most pleasant apartments and houses in Biarritz! Please contact us if you need further information about our beautiful region to help you plan your trip, we will be happy to answer your questions.